Nearly Everything You Need To Know To Get the Cheapest Custom Tees in Singapore and more! Are you looking to Customise and Print T-Shirts in Singapore? That is probably how you end up on this article! The aim of this article is to provide nearly everything you need to know about T Shirt Printing in Singapore and more! You will have the knowledge to customise T-Shirts from just $5 a piece! We will be going through in-depth on the different methods of printing and the different products available for customisation for different events and much more. Whether you are a student, a teacher, a corporate staff, an event organizer, a marketing company or any other customer, this guide will equip you with the knowledge you need to know about T-Shirt printing. Whether you are a beginner, or an experienced customer who have ordered customised products before, you can definitely learn something here! Let’s jump right into Ultimate Guide for T-Shirt Printing in Singapore. Why Custom T-Shirts & Apparels? Custom T-Shirt printing is widely popular all over the world. That is also true in Singapore. 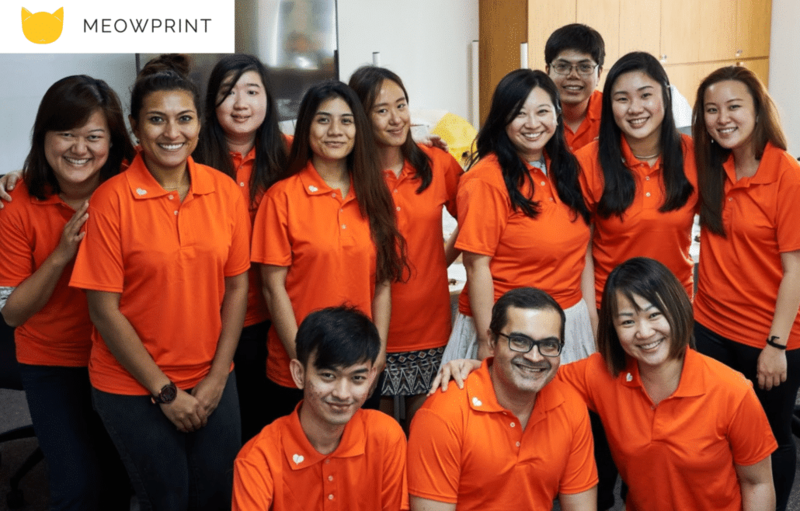 Everyday in our daily lives in Singapore, we’ll see people wearing customised apparels either for schools, outdoor roadshows, team bonding activities, corporate staff uniforms and so much more! The list will never end if we do not stop here. What we are trying to say is that, custom apparels are very much in demand and will continue to grow in demand. Do not think you are late to the party, because the trend will continue to grow. Let’s look at how Custom T-Shirts play a role in meeting the needs in different industries in Singapore and why you may need them, if you have yet to get started. Being a T-Shirt Printing company, we find that corporate companies make up a huge portion of our customer base. Why is this so? We believe this is due to the rapid growth of companies, especially in the technological space. For example, let’s take a look at the recent spurts of growth tech companies such as FinTech where new start-ups are created every single day. The competition of businesses keeps getting tougher and tougher as time goes by and companies have to continue to keep differentiating themselves apart from one another to come up ahead in the competition. So the question is, how can Custom T-Shirts & Apparels help corporate companies? Let us share with you how other companies are doing it, and you do not need to be left behind. Custom T-Shirts are a great tool for marketing. Every corporate company wants their brand to be out there. Of course, apart from setting up an online presence of your brand, there will be opportunities for you to spread your brand awareness on the ground. For example, if you are running a roadshow to promote your company, you can always print or embroider on T-Shirts or Polo Shirts with your brand or company logo so people will register them in their head when you are speaking to potential customers. You can also giveaway T-Shirts as a gift for customers to spread your brand awareness. When people wear them on the street, it is basically free advertising of your company on the ground! Whether you are a start-up or an enterprise, corporate T-Shirts or uniform can foster a sense of belonging for employees and business owners. When you wear T-Shirts imprinted with your company logo, you’ll feel a sense of belonging and feel to be part of a company that you are proud of. When you and your employee wear the corporate apparels, it can also play a part in marketing when people decide to find out what your company does. Ready To Start Customising Your Custom T-Shirts & Apparels? Another huge portion of our customers are from Schools and institutions. Why are custom T-Shirts so popular in schools? You might be customising them without knowing why. Well, every batch of students and teachers will have definitely experience in order custom T-Shirts for different purposes. Let’s take a look at some of the events that schools might have that requires custom T-Shirts. This is a very common purpose of custom printed tees in schools. Each year, every class will print their own Class Tees as a sign of unity and bonding of their class. Asssuming each class has a class of 40 students and each level has 10 classes, that will add up to 400 students per level. In secondary school, that will mean about 2,000 class T-Shirts per school. There are about 149 secondary schools in Singapore. This means, there will be about 298,000 Class T-Shirts printed every year (assuming every student prints a class Tee). This is a huge number just by printing t-shirts for class and CCA. Learn more about Class Tee Printing in Singapore. Apart from class and CCA T-Shirts, there are also ongoing school camp T-Shirts that goes on during school holidays for CCA or groups. Camp T-Shirts is almost like a tradition to have. It shows that participants have been part of a camp and creates a bond among the participants when they wear the same T-Shirt for the camp. Not just in secondary schools, tertiary institutions also have orientation camps. Thousands of camp T-Shirts are printed every year for orientation camps in Polytechnic, ITE as well as Universities. Another opportunity for custom T-Shirts in schools would be Sports team Jersey. Apart from CCA T-Shirts, there are a lot of sports groups in tertiary education where they train and compete between different schools. Each team will want to print their own custom jersey printed apparels as a team identity when they compete with an opposing team. Most of the sports team jersey will be using dri-fit T-Shirt printing methods to keep their apparels cooling and breatheable. Learn more about Jersey printing in Singapore here. Now that we have learn why you should choose Custom T-Shirts and how they may help you, we need to learn which products would best suit our needs. We are now going to share with you all the different products that are readily available in our products catalogue. We will also share how you can make your own custom-made apparels which are made from scratch later on in the article. Being a T-Shirt Printer in Singapore, we are best known for our T-Shirt products. We are one of the places in Singapore that carry a wide range of ready-stock T-Shirts that you can customize. Just select a product and choose the method of print, and you’re good to go. So which products will be the best choice for you? Let’s go in depth on each T-Shirt category in our products catalogue. As the name goes, this product category consists of all the Plain T-Shirts that are made from cotton material. Cotton material is more comfortable as they are smoother to the skin of the wearer. However, they are not as breathable as Dri-fit T-Shirts (which we are going to explain next). Pros: The advantage of Cotton T-Shirts is that they are more comfortable to wear. Cons: The cotton T-Shirts tend to shrink a little after wash due to the nature of the material. They absorb sweat and may cause the T-Shirt to stick to your body under warm environment. Best Used For: The cotton T-Shirts are perfect for Class & CCA T-Shirts, Corporate T-Shirts, Start-up Companies T-Shirts as well as for marketing giveaway. As the name goes, this product category consists of all the Plain T-Shirts that are made from dri-fit material. Dri-Fit material is more breathable which makes it more cooling and suitable for outdoor activities. Pros: The advantage of Dri-Fit T-Shirts is that they keeps you cooler. Cons: They are not as smooth to the skin relative to cotton materials. Best Used For: The dri-fit T-Shirts are perfect for Class & CCA T-Shirts, Camp T-Shirts and Sports Team Jersey. If you have more budget when it comes to customising your T-Shirts, you may want to look at our Multi-tone range. Multi-tone means that the apparel is made from 2 or more colors in the fabric and cutting of the apparel. If you would like an alternative to the normal Plain T-Shirts, these are great! Some of them also come in the color pattern that matches your theme. Pros: The advantage of multi-tone Dri-Fit T-Shirts is that they keeps you cooler due to the material. Cons: They are slightly more costly as compared to the Plain dri-fit T-Shirts. Best Used For: The multi-tone dri-fit T-Shirts are perfect for Class & CCA T-Shirts, Sports team jersey, corporate events apparels and uniform. Do you happen to be looking for long sleeve T-Shirts? This product category is for you! These are great for office dress down days where it can get really cold in the office. Pros: The advantage of long sleeve T-Shirts is that they it covers your whole arm and keep you warm in cold environment. Cons: They can get warm when you step out of the office. Best Used For: Popular among the Muslim customers as well as corporate companies who would like to wear T-Shirts but would like something that can keep them warmer in the cold office. Raglan sleeve cutting means that there are contrasting colored fabric between the body and sleeve of the T-Shirt. These are popular for fashionable T-Shirts as well as Sports team identity. Pros: It can create a fashionable look for the wearer because of the contrasting fabric. Cons: The T-Shirt may shrink after wash since it is made from cotton material. Best Used For: Popular among the Class T-Shirts, Corporate T-Shirts as well F&B Uniform for the staffs. Ringer T-Shirts is similar to raglan T-Shirts because it also has contrasting fabric. However the contrasting fabric is for the collar and cuffs, instead of the entire sleeves. Pros: It is fashionable T-Shirt and comfortable to wear. Best Used For: Popular among the Class T-Shirts, CCA T-Shirts as well corporate T-Shirts. What are Fashion T-Shirts? These Tees are in our product catalogue to cater to customers who are looking for fashionable T-Shirts to customise. They are usually unique in its own pattern and cutting. Pros: It is comfortable and has a fashionable fit. Cons: The price may be on the higher side for customisation compared to the Plain T-Shirts. Best Used For: Selling of merchandise as well as for concerts. If you’re looking for V-Neck cutting T-Shirts, the tees in this category will be able to meet your needs. Pros: Has a fashionable V-neck cutting of the T-Shirt. Cons: The tees comes in pre-made measurements of the cutting of the V-Neck which may not suit your needs. Best Used For: Selling of merchandise as well as corporate T-Shirts. Last but not least comes the premium range of T-Shirts that we carry. These are branded apparels suited for customers looking for high-end T-Shirts made from the best quality material. This range consist of brands such as Under Armour and Adidas. Pros: Made from the best quality materials and cutting of retail quality. Cons: The price is on the high side when it comes to customising the branded apparels. Best Used For: This range of popular for Corporate companies dress down attire or events. Now that you have an idea of the products that you wish to customize on, we are now going to share with you the different T-Shirt printing services that are available in Singapore. Not all products can use all methods of printing. Therefore, you will learn what each method of printing does and which one will be best suited to meet your customization requirements. Printing methods also affects the pricing of your customisation. Firstly, we are going to share with you about custom-made apparels (made-to-order) service. As the name suggest, this service is a made-to-order service. Made-to-order means that your apparels is customised when print-on-demand. We will only customise and create your apparels according to your requirements. These are not readily available items and can take up to 3-4 weeks for the whole process of customisation. Why Choose Custom Made-to-Order Service? Some customers are looking to create something unique that is different from the readily available products in our catalogue. Therefore, we offer such services to meet the needs of those who would like their very own unique apparels. This customisation service allows you to choose the pattern and cutting of your apparel, the color fabric, as well as the material of the apparel. As the whole process involves from the very beginning of the construction of the apparels, our lead-time usually takes about 3-4 weeks after confirmation of order. We also understand that customers would like to do a 1 piece Sample before embarking on the bulk order. We are able to produce a sample piece about 1 week after confirmation of order. Once you have confirmed the 1 piece sample, the bulk order will then take another 2-3 weeks lead-time. Learn more about Custom-Made Apparels (Made-to-Order) service here. Next, we are going to look into our most popular method of print. Silk screen printing is a method where ink is imprinted directly onto the apparels. Silk screen printing process involves the making of ‘mould’ which consist of the ‘screen’ mesh in which ink will pass through to imprint your design onto the apparel. Why Choose Silk Screen printing Service? Silk screen printing is popular for 2 main reasons. Durability and Price. It is known for its durability because silk screen printing can last for thousands of washes without fading, making it possibly the longest lasting method of print in Singapore. It is also very cost efficient, especially for bulk quantity printing. If you are printing in bulk quantities, chances are silk screen printing will give you the best prices. Our lead-time for ink screen printing services is about 5 working days from the start of processing of our orders. We believe this is the sweet spot for timeline to allow our experts enough time to provide you the best quality printing for your apparels to give you your dream T-Shirts! If you require express silk screen printing services in Singapore, do get in touch with and we’ll let you know on the feasibility of your project! Learn more about Silk Screen Printing here. Next, we are going to look into embroidery services in Singapore. Embroidery involves the simple use of threads made into designs or logos as per your customisation needs. The simplest explanation of embroidery is that it involves intricate needlework where colored threads are stitched onto a piece of fabric or product to form a design or pattern. Embroidery is very popular on corporate apparels as it adds professionalism and classy touch to your apparels. Since it is sewed directly onto the apparels, embroidery services are also long lasting and very durable. Our lead-time for Embroidery services is about 7 working days from the start of processing of our orders. We believe this is the sweet spot for timeline to allow our experts enough time to provide you the best quality for Embroidery. If you require express embroidery services in Singapore, do get in touch with and we’ll let you know on the feasibility of your project! Learn more about Embroidery services here. Next, we are going to look into Heat transfer printing services in Singapore. It is a process where the design is first printed onto pvc or vinyl material before being heat pressed onto the apparel. It creates a layer of thin vinyl sticker on top of the T-shirt. It is also the method of print for Individual Names + Numbers on the T-Shirts or apparels. Why Choose Heat Transfer Printing Service? If you have designs that comes in many colors or gradient colors, silk screen printing will not be feasible, or it can get very expensive. Digital Heat Transfer Printing, has the capability to print full-colored designs at affordable prices. Our lead-time for Heat Transfer Printing services will be about 5 working days after confirmation of order. This is similar to the silk screen printing services. Learn more about Digital Heat Transfer Printing here. Sublimation printing is the process where ink is sublimated into the fabric (100% nylon / polyester) at high temperature. The unique feature of sublimation printing is precisely that the ink is in the fabric. This is in contrast to other digital transfer methods such as digital heat transfer printing where the printing is done on the exterior of the fabric. Why Choose Sublimation Printing Service? Sublimation printing is able to print unlimited colors of design onto the polyester dri-fit fabric. It also involves a cut & sew process after the printing of designs to create an “all-over” printing of apparels. Our lead-time for Sublimation Printing services will be about 3-4 weeks after confirmation of order. It is similar to made-to-order apparels because there are no readily available sublimated products with your designs. Learn more about Sublimation Printing here. Last but not least, there is the latest technology of printing – DTG Printing. Imagine having a big printer, and you print directly onto the garment, for example t-shirts, using modified inkjet technology. This method allows you to print your picture directly onto your apparel without losing any of the details. Why Choose DTG Printing Service? It is also capable of printing real life images or complex designs on t-shirts. Our lead-time for DTG Printing services will be about 10 working days after confirmation of order. This is because, just like a printer, you can only print 1 T-Shirt at a time and it is not scalable in terms of production speed. Learn more about Direct to Garment DTG Printing here. Still unsure about all the T-Shirt Printing Services? There you have it! The Ultimate Guide to T-Shirt Printing in Singapore. We aimed at creating an in-depth article about everything you need to know about T-Shirt Printing in Singapore. We have shared with you how you can use T-Shirt Printing to your advantage, the different products that are available for customisation, and also the printing services that you can use depending on your needs. If there are still questions you have unanswered about T-Shirt Printing in Singapore, let us know in the comments and we’ll address your concerns!